It might be fair to say that more people in this world play with Chinese cards than any other type. The Chinese took their own cards with them wherever they traded or travelled in the East and we find Chinese cards not only on the mainland but also in Hong Kong, Malaysia, Indonesia, Taiwan, Thailand, Singapore, North Borneo and Vietnam. 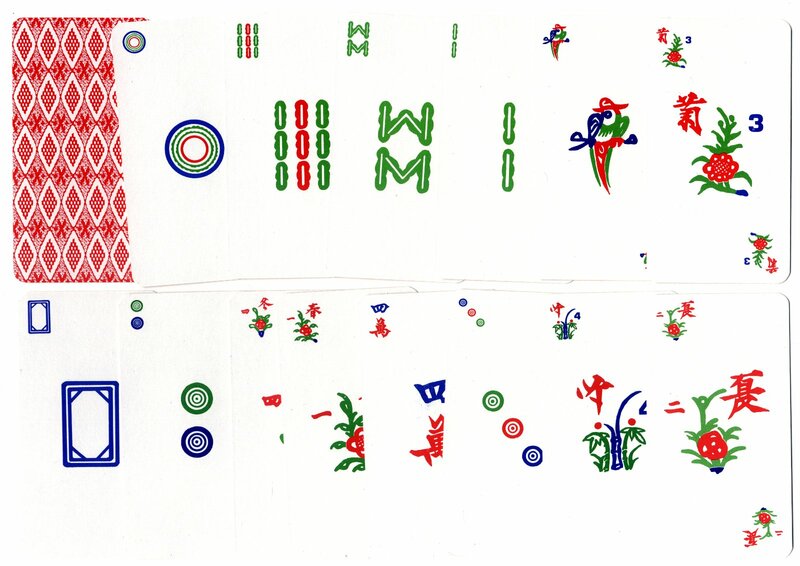 Above: Chinese 'Domino Cards' imported into Hong Kong containing small traditional symbols emblematic of the blessings of life. Domino cards, deriving as they do from the 21 throws of a pair of dice, could be descended from the earliest known playing cards. See also: Double Happiness Domino Cards Double Elephant brand Four Colour cards. 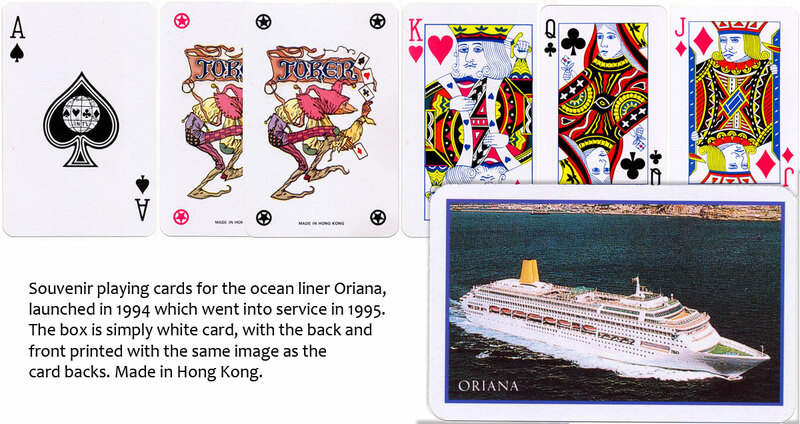 A large proportion of the world’s souvenir playing cards originate from Hong Kong, many manufactured by the Windmill Playing Card Co. For example, see: Puerto Rico, Dominican Republic. 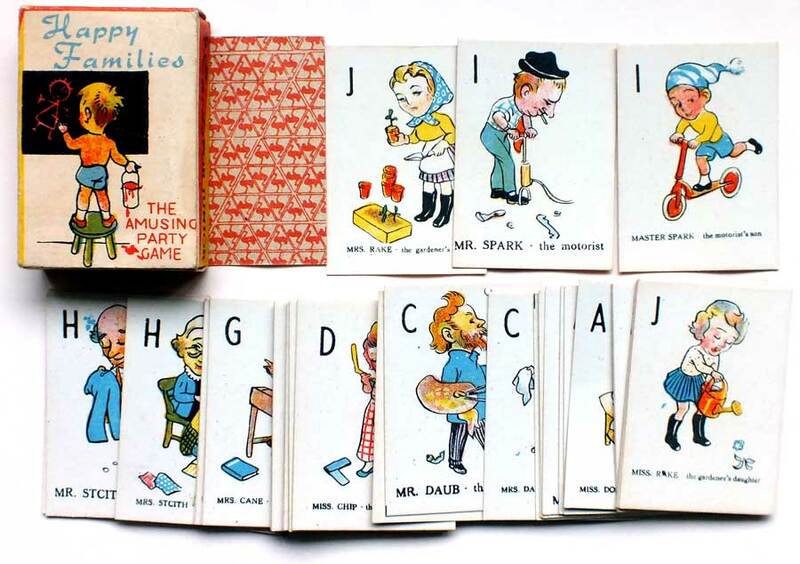 Above: miniature ‘Happy Families’ set, 40 cards, ‘Emu’ brand, made in Hong Kong. A large number of pin-up playing cards originate from Hong Kong, such as GAIETY 54 Models Adult Playing Cards etc. 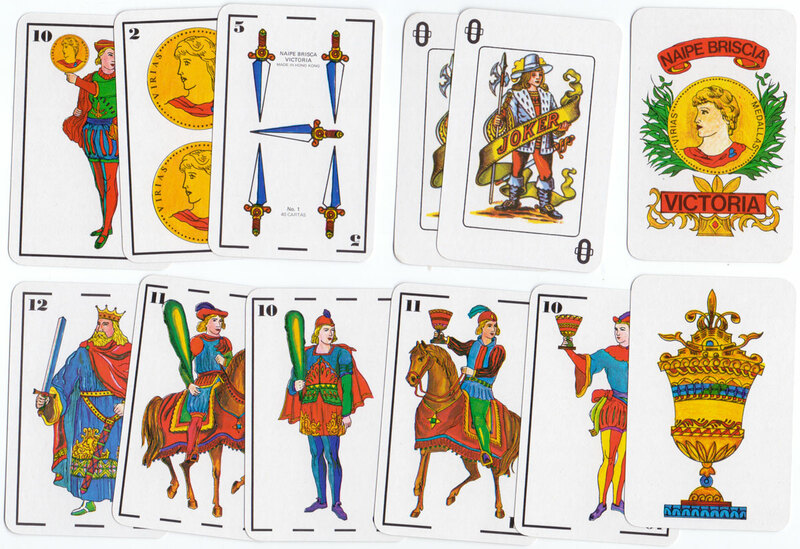 Above: aimed at English-speaking audiences, the left-hand set shown above is called Honey Brand Superior Quality Excellent Universal Models Colour Pictures and contains 52 cards + 2 Jokers. The right-hand set is called Fortune Brand and purports to depict 52 art studies representing outstanding types of beauty. As sparkling and refreshing as a mountain stream, each subject is the result of painstaking research... acclaimed as TRULY works of art by connoisseurs the world over. Produced in Hong Kong. 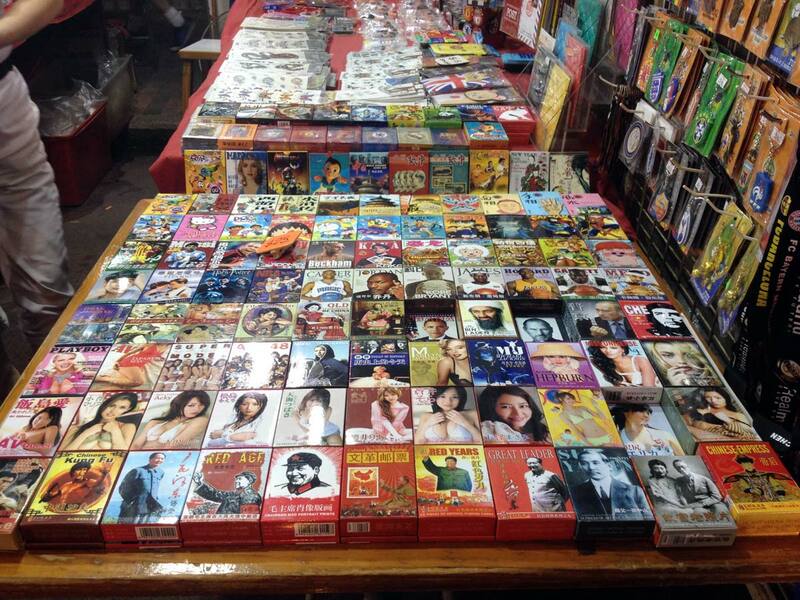 Above: street market selling Chinese manufactured playing cards in Hong Kong, 2014. Cards are available of every description including Osama Bin Laden, Steve Jobs, Madonna, Titanic, Superman, Batman, President Putin, President Obama, girl pin-ups, Chinese bank notes, etc. Photo by Adam Wintle.